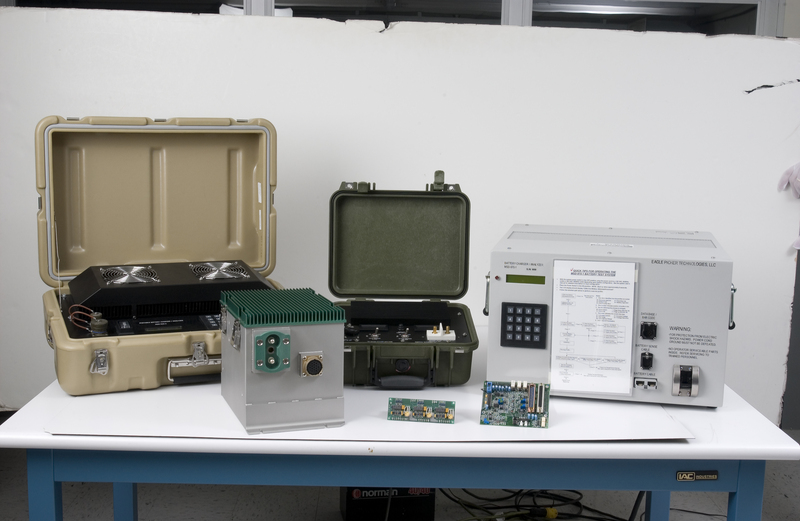 EaglePicher offers a line of universal battery charger/analyzers. Our modular design and flexible programming features allow the servicing (charge and/or discharge) of any battery chemistry. And our systems are easily upgradeable, so we can keep up with your changing needs. No matter what the challenge, you can count on EaglePicher to deliver the outstanding performance, safety and quality you require. 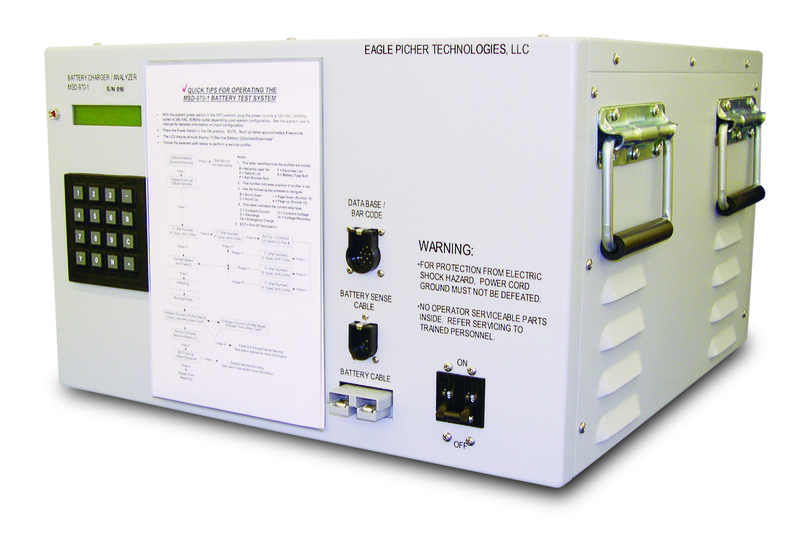 EaglePicher's new product development team continually works on its battery charger technology. The original development arose from a desire of the U.S. Navy to replace 30-year-old antiquated equipment as well as reduce the man-hours required to service a battery by automating it, while simultaneously increasing user safety. The new design also needed to be upgradeable to limit obsolescence as battery technology changed, and required a streamlined design to facilitate operation. EaglePicher's state-of-the-art, portable and benchtop charger/analyzer systems (MSD, ASD, and CSD) can service any secondary (rechargeable) battery chemistry with nominal battery voltages from 1 to 36 volts, and charge/discharge currents ranging from 0.02 to 25/50 amperes for the portable system and 0.02 to 70 amperes for the benchtop system.